It's Friday and I am SO ready for this three-day weekend!! 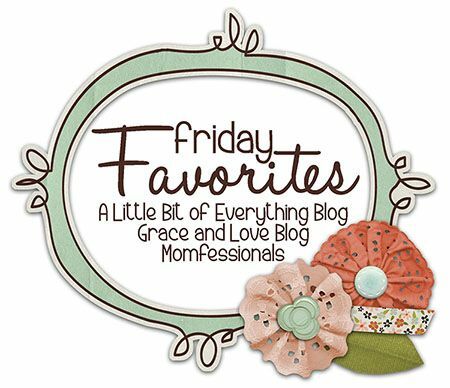 Andrea, Narci, and I are teaming up to share our Friday Favorites. YOU should join us!! Ebby Lee sported her Honey Pie Accessories shirt on Day 2!! Day 3...Nixon's smile cracks me up! What is he doing??? Bowen absolutely LOVES Ebby Lee. Probably because she lets him do what he wants, she's super sweet to him, she treats him like a baby, and he eats it up. Nixon messes with him ALL THE TIME!! Nixon does it because that is his way of "lovin on him". At times they can get along GREAT!! But...this week has been tough because our "buffer" Ebby Lee isn't here! In this picture, Nixon tried to sit down beside B and he wasn't happy about it. Bowen and I feel the EXACT same way about the first week of school. hahahahaha! Bless his heart! His little schedule has been messed up. A couple days he's missed naps altogether or had to take super short ones. He feel asleep in the car on Wednesday and slept like this for a while. We had a little popsicle/pool playdate at the Shull house a couple days ago. It was the perfect activity on a SUPER HOT SWELTERING TEXAS day!! The three boys were looking ADORABLE on this step. As soon as I snapped, Bowen turned around. Daddy's day for drop-off. For some reason, Ebby Lee is super nervous about getting out of the car in the carpool line and walking to the school door. She LOVES everything else about it, but that is her hang up. I think she's afraid she won't be able to open the school door? I can't really figure it out, but Tab told her he'd walk her to the school door. Then he decided he'd go ahead and walk her ALL the way to her class. Teacher friends....don't you know her teacher was thinking, "You are NOT supposed to be back here, Dad?"!! hahaha!! We were out running errands yesterday. I gave Bowen my phone to play with and wait for it....he took approximately over 400 pictures like this. 400?? YES! I couldn't believe it! I've gotten lots of e-mails from girls who would like to give Rodan and Fields a try, but don't necessarily want to start with a full regimen. If you have blackheads (gross, I know...but who doesn't have them?? ), these two products would be a GREAT place to start to give R + F a try. The Micro-Derm Paste exfoliates and leaves your skin feeling SO smooth. And...the Acne Sulfur Wash is AMAZING!! Let me know if you want to hear more about these products. E-mail me at alittlebitofeverything83@yahoo.com. Nixon and Bowen had Meet the Teacher last night at preschool. Nixon actually has Ebby Lee's teachers from last year. We LOVED them so we're very excited!! And...he has 5 or 6 friends (all boys!!) from last year in his class. He is excited about preschool starting!! He has become my right-hand man during the day. He is my little shadow and I can already tell this year is going to be a great year for the two of us! So nice getting to soak up this time with my middle. Poor third kid!!! I totally forgot to take his picture in his room. Don't worry...when he starts I'll go over board. :) I wasn't planning on sending Bowen this year, but just last week after seeing all the volunteer information from E's school, I decided it would be nice if he went two days. Bowen is always SO bored when the big kids are gone. This will be perfect for him! The funny thing is during this picture I said, "Bowen, are you going to school?". His response, "NO!". hahahaha!!! Next week should be fun!! College football has officially begun!!! Tab has his first game this weekend. I have some super fun things planned for the kiddos. We're going to make the most of this football season!! Hope you have a great weekend!!! Join us by sharing your faves and link up! Thanks, ladies! You had so many good ones this week! That picture of Ebby Lee and Bowen is just too sweet :). So happy this first week of school is behind us. Bring on the 3 day weekend!! Love all the pics! Have a great 3 day weekend!!! Those babies!!!! I love the bond that brothers and sisters have when they are little. Have a fabulous list long weekend! Such sweet photos of your kiddos! I remember when I first started school and my brother was at home without me...my mom said he cried most of the day :( Love him! 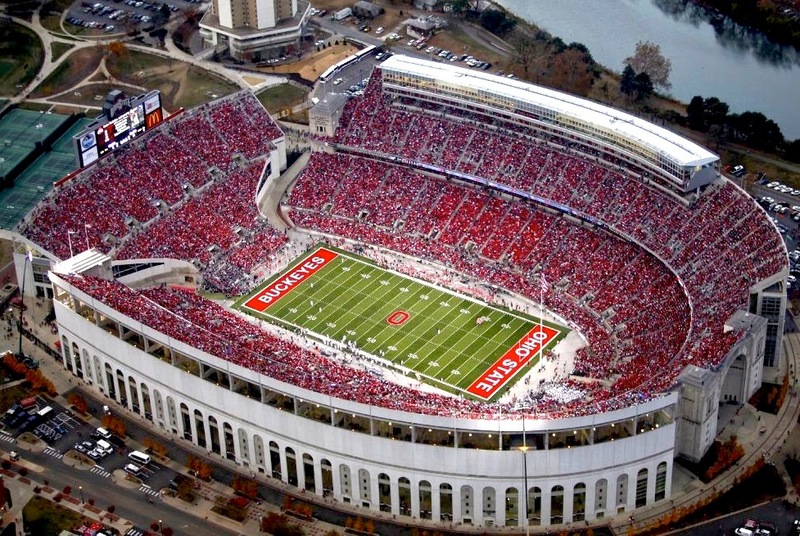 Gotta ask...are y'all Buckeye fans or just happens to be a random fball pic? Cute post...the sibling love is great! Good job!! I can SO RELATE about the big sister buffer!!! I couldn't figure it out the first 2 days why the 2 boys were acting so CRAZY! And then it dawned on me… the peace maker/boss wasn't there to handle it haha! And too funny about your husband walking Ebby Lee to class. My husband did the same with Emma;) And I thought the same thing about the teacher wanting him to get back out haha! Hope y'all had a great long weekend! !